Walking around Chapman Farm the past few days at dusk I couldn’t help but admire how so many homeowners have kept their yards tidy and clean. 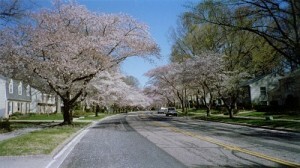 While it doesn’t have the views of a Golf Course like some parts of Crofton, the streets themselves are laid out in an aesthetically pleasing manner. Chapman Farm has always been one of the most desired neighborhoods in Crofton. A few years back, sales prices in the neighborhood soared and a lot of people found it prohibitive to buy there. Especially when the prices on homes went up during the listing period. Prices are still high when compared with the rest of Crofton, but have stabilized somewhat. As of today, there are 6 properties listed for sale in Chapman Farm, ranging in price from $559,900 to $609,800. The average sales price for a home in Chapman Farm in 2008 is 587,000. In 2006, the average sales price was $591,424. Are you thinking about hiring a real estate agent? If so, you are on the brink of making a very good decision. This holds true no matter if you are hiring an agent to sell your home, or if you are in the market for a new property. Either way, asking specific questions of potential real estate agents will give you a feel for what you are getting into. Here are three of the most important questions to go over with your agent before hiring them. Do you have any experience in my area of interest? If you are buying a home, you want to make sure that your agent has experience in the neighborhood. This way they will know where to look for properties, what to expect, how to negotiate, and much more. The same thing holds true if you are a seller. No matter what, you want to get further information on the experience of every agent you are considering. If you are selling your home, you need to find out what your real estate agent will charge as a commission. While this is pretty much standard, you still want to make sure of this. After all, it is better to know about the commission rate up front than to get hit with a big number when it is finally time to sign the contract. You will more than likely find out that most real estate agents work with a standard fee that is identical. What do you do that sets you apart from other agents? This can be a difficult question, but one that you should ask. You want to hire a real estate agent that thinks outside of the box, and has ideas that are unconventional. When you hire an agent who is willing to do anything for you to achieve success, you will be in good shape. Most agents have a list of things that they do which could be considered unique, etc. Overall, ask every real estate agent you are considering these questions. Their answers will determine which one you hire, and how you move on. Usually, it goes like this: During a listing appointment I take a tour of the house and I make recommendations on what the sellers can do to make their home sell faster and/or for a higher price (the two are inter-related). My recommendations usually involve things like getting rid of clutter (a good rule of thumb is that closets, cabinets, and shelves should all be no more than half-full, all other flat surfaces – tables, counters, etc. – shouldn’t be full at all), sometimes I’ll have them put a table or chair in storage to open up the floor space and to make the room feel larger, and I’ll always tell them to take down any personal pictures and other personalized items (you don’t want the buyers to feel like they are in your house – you want them to feel they are in their house). Beyond that, if it is necessary, I’ll make some small suggestions as to how they can stage the home a little better. And if necessary, I’ll tell them what they can do to spruce up the house (if the carpets can get away with only a steam clean – then do that, otherwise replace them – and a fresh coat of paint is always a good idea) and we always take a tour of the yard to discuss landscaping. And if the appliances are more than 15 or 20 years old, those might need to be updated as well. Almost always, a buyer will ask if they should do something major (remodel the bathroom, remodel the kitchen, build a deck, etc.) – my advice is not to do it. And the reason for this is “the typical buyer spent $4,350 on home improvement projects within the first three months of buying the home. Repeat buyers spent more than first-time buyers. “Nearly half of home buyers remodeled or made improvements to their kitchen. This is all from data collected in a survey of people who bought a home from late 2005 to early 2007 done by the National Association of Realtors. It is true that in today’s markets buyers are expecting a house to be in move-in condition. Everything has to work and nothing can be broken – but every homeowner has their own ideas on what they want done in their house: whether it is a certain kind of appliances in their kitchen, or a special kind of whirlpool bath. The point is, neither you as the seller or me as the agent can anticipate exactly what the buyers expectations are going to be, so we shouldn’t try. Get your house ready to move-in by fixing it up the things that need to be fixed up, but you don’t need to do anything major. Alright, I decided to do a little analysis today on how 2008 is shaping up when compared to 2007. This is something I like to do every spring or so. I have found that so goes the first three months of the year – so goes the year. I decided to look at only settlements (not contracts written) that have occurred in the month of February going back to 2003. First off, 2008 is not 2007. In 2007 whenever I was asked about how the market was, I would respond that it will take a little longer to sell your home, but that the market was still very strong and that the sales price was generally going up. So far in 2008, the story is a little different. From what I can see right now* – only half as many homes sold in February 2008 as sold in February 2007. They were on the market longer (by an average of 16 days), and the overall settlement prices fell by 6%. This is definitely the first decline we’ve seen in a while. It is almost like the market is catching up to all the bad news that we’ve seen in the media. I would like to tell you that these conditions are isolated, so I did a quick check for the following areas: Annapolis, Arnold, Crownsville, Davidsonville, Severn, Severna Park, Crofton, Gambrills, Edgewater, Glen Burnie, Laurel, Odenton, Pasadena, Riva and Hanover. The rest of the areas or towns had too few transactions to matter. What I found was the drops are across the board. On top of that, right now there are 3364 homes listed for sale in Anne Arundel County (not counting for new construction and build-to-suit properties). Based on the pace of February and taking into account seasonal changes in the market – we probably have 6 to 7 months of inventory on the market. Of course a lot of people are not going to wait around that long for their house to be on the market. They’ll withdraw their listings, just let them expire, or they will drop their price! In any case that is a lot of gloomy news if you were looking for a turn-around in the market this year. We’re probably looking at September or later before the market starts rocking again. The first transferees for the Base Realignment (BRAC) will start to relocate by then. So, how do we use this info? First off, as always when selling a house – pricing is important. There are a lot of things to remember when setting the price. As your house first comes on the market, it generates a lot of interest in the community. If it is perceived to be overpriced, people will associate the house with that – even if you reduce the price later. Also, you have to remember the vast majority of people do their home search online. And a lot of online home searches use a pull-down menu – so if you’re priced just a little bit above that price selection, and you’re willing to take something below it, you need to make sure your home is found by the people looking for it. Make sure you are following an aggressive pricing strategy that will allow you to sell your home fast while getting the best value for your home. This doesn’t mean to give the house away, or to leave any money on the table when it comes time to negotiate a fair price. But you do have to be mindful of it and put a lot of thought and consideration into how you want to price your home. Just listed postcards, door hanging, staging, curb appeal, directional signs, open houses and Internet advertising – all still matter. Yes, it is true that most buyers find their home either through the Multiple Listing Service (either by an online search or through their agent). But in today’s market you really can’t afford to leave any stone unturned. In order to sell your house you need a real estate agent that knows how to cast the widest net possible. I’m not one of those agents that think people can’t sell their home “For Sale By Owner” (FSBO). I think there are a lot of talented and knowledgeable people out there that know how to price and market a home – and save the real estate commissions in the process. But I think a lot of it depends on the market. Unless you’re willing to give deep deep discounts on your house, I don’t think 2008 is the year to be going FSBO. As the chart above shows, if you’ve been in your house for any period of time (3+ years) you’ve brought built up some equity just in market changes alone. Meanwhile, the house you’ve probably been looking for over the last year or so is now at the lowest its been in a couple of years. FHA limits in Anne Arundel County have been increased, making it easier to qualify for certain loans – and conventional rates will probably follow. And interest rates remain at historic lows making the move-up even more affordable than it would have been in the past. If you’re thinking of moving up, now is a good time to put your house on the market and begin searching for your new home. And just to leave you with a bit of good news. To understand how important pricing and marketing are to selling your home – this year alone 124 houses this year have sold in 30 days or less. Price your home right, market it correctly, and you can still sell your home in a reasonable amount of time in 2008.